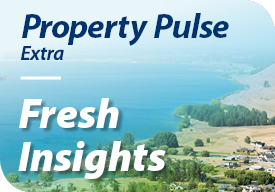 A Central Otago development, aiming to fill a gap in the region for an age appropriate community, has been met by an eager local market. Cromwell’s Golden View Lifestyle Village has come together in less than half the time anticipated, selling in around three years, rather than the seven its developers projected. Neil and Trish Bulling of PGG Wrightson Real Estate, Cromwell have been instrumental in the village, which consists of 94 stand-alone villas, built in five stages. They have worked closely with cornerstone shareholders Archie and Margaret Affleck, who are retired Southland sheep and beef farmers. Archie explains that committing to the concept was easy. “It was obvious that Cromwell needed this. Over several years, people who were ready to downsize had to move away from the town. Securing the land was crucial. We are located between two supermarkets, so our residents don’t need to take the car to pick up the groceries. Our scale was also important. There are not many five to six hectare lots sitting next to a supermarket,” he says. One early decision that Archie reckons paid off was to bring in specialist project firm HPA, which has extensive experience designing and building lifestyle villages. “They have overseen the whole thing. Once we decided to go with them, it all fell into place. On their good advice, we haven’t gone ultra-expensive, which was one common sense decision they helped with. Two- and three- bedroom villas were priced between $435,000 and $715,000. “All the investors have farming backgrounds. We have all taken some risk in the past, and all have a down to earth attitude, which helped bring it together,” says Archie. As Neil Bulling explains, the development is centred around the Golden View lodge. “Golden View’s aim is to take the stress out of retirement and add in a whole lot of fun. Plenty of Central Otago people have welcomed our approach. “We included features that give the development a community feel. 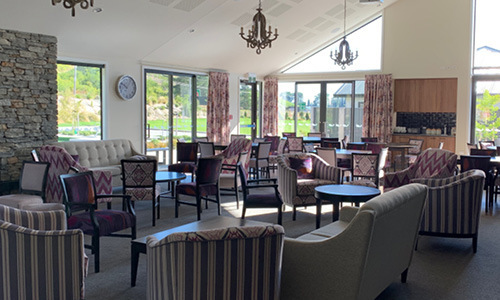 In addition to the lodge, which has a swimming pool attached, Golden View has a gymnasium, hobby and craft room, library with computer access, lounge and bar, dining room, pool table, workshop, hairdressing salon and a meeting room that doubles as a cinema and chapel. It also has a community garden, vegetable plots and a ‘blokes’ shed,’ plus parking for caravans, boats and motorhomes. “There are some great views, particularly during winter time and the climate is easy. In Cromwell, we are central, within two to three hours of one coast or the other, so have plenty of opportunities to explore, and use the caravan or boat, which is why the villas are easy to maintain and able to be locked up and left,” he says. Its residents agree that Golden View has achieved its objective and more. Geoff and Leonie Bishop, who spent many years farming Waitiki’s Mt Otekaike Station, were among the first arrivals in 2017. They can’t speak highly enough of the philosophy behind Golden View Lifestyle Village. “From day dot, before we moved, we had a positive feeling. The shareholders behind it are committed to making it a great place to live. They are right on the ball and full of fun. We see them in here regularly, and that personality comes through in an outstanding development. Once we were committed, they made it easy for Geoff and me,” says Leonie. “You reach a time in your life when it is better to downsize and move somewhere else before you are told to. We made that choice ourselves, and it was a great decision. We have been made so welcome. Everything here is so convenient, designed for people in our age group. As you get a bit older, it is good to have everything at your fingertips,” adds Geoff. Warwick and Helen Grimmer moved to Golden View in mid 2017 from a large house in Cromwell that had been home for 20 years, prior to which they lived in Dunedin. “This is perfect for us. We needed to downsize, though didn’t want to do another build. We really appreciate having like-minded neighbours, which helps ensure peace and quiet. Warwick said he would never move to a retirement facility. I told him ‘This is a lifestyle village, it’s an ageappropriate community.’ Now we are here he absolutely loves it, which I remind him about quite often. “We had our garden in the house and garden tour. When we hosted that, several local people came inside for a look. I could have sold the house ten times over. They were so surprised how big, airy and spacious the houses are. “Everybody is terribly envious, even young 30 and 40 year olds can’t believe how good the facilities are, and say they would love to move in too. We wake up every morning and say ‘How lucky are we!’” says Helen. Archie says investing in the development has been financially satisfying for him, Margaret and the other shareholders. “We are now building the hospital, which is well ahead of schedule. Although we are not quite there yet, it certainly looks to be heading in the right direction, and our investment should pay off very well. However, even if we didn’t make money, it’s still a great feeling to drive in here and see what we have been able to achieve,” he says.